It’s been a busy couple of weeks for the team planning and preparing the upcoming Virgin Cruises with the new line announcing they are due to launch three ships rather than the anticipated two and moving the launch date back to 2020. Richard Branson and co have now announced they are welcoming input from cruise fans around the world to help produce a cruise line designed around the needs and tastes of the industry’s faithful. The first of the ships is due to launch in 2020, based out of Miami and completing itineraries around the Caribbean. With a 2,860-passenger capacity, the ship will be joined by identical sisters in 2021 and 2022. Some of the design features are yet to be finalised with Virgin Cruises president, Tom McAlpin, inviting cruise fans to leave feedback on the company website. These announcements were made this week during a conference in Miami – attended by McAlpin and Branson who arrived in a helicopter through a cloud of Virgin red smoke. 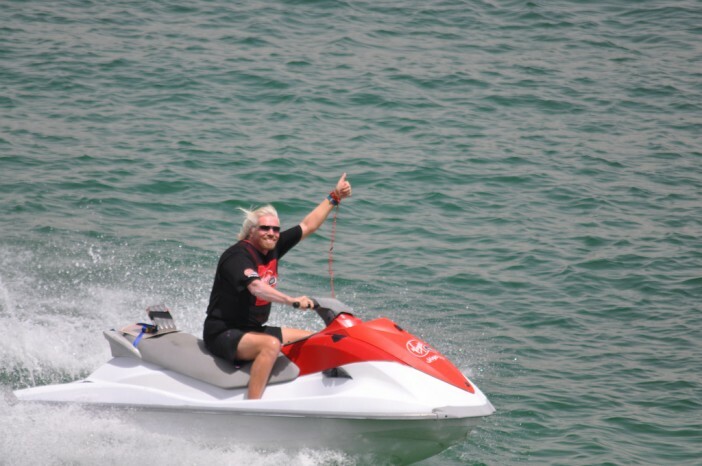 The charismatic Branson was appropriately attired in a white captain’s shirt and maritime hat with Virgin branding. With more and more innovative features coming to cruise holidays – there is great potential for Virgin Cruises to create something unique and spectacular for the industry before the first of the ships launches in five years. It’s been a busy couple of weeks for the team planning and preparing the upcoming Virgin Cruises with the new line announcing they are due to launch three ships rather than the anticipated two and moving the launch date back to 2020.